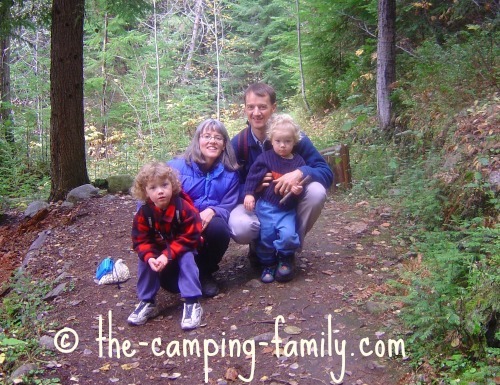 Backpacking with kids can be a great experience for everyone. Design your trek to meet the needs and abilities of your children, and you'll have a successful trip. 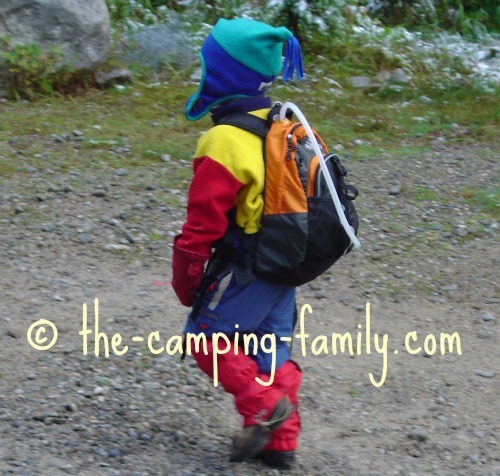 Introducing your children to backpacking when they are young might give them a lifelong love of hiking and exploring. This might be the easiest stage of all - especially if you breastfeed. 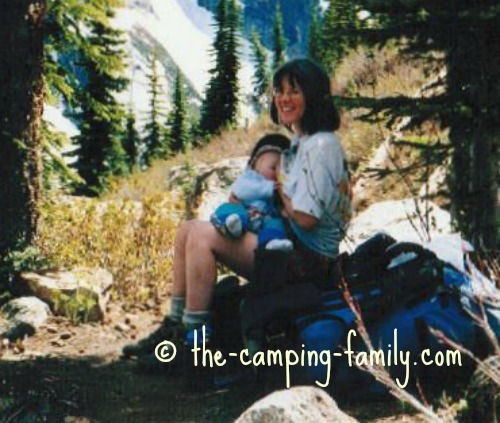 Just pack some diapers and a couple of changes of baby clothes in addition to your regular backpacking gear, pop the baby into a front pack, and off you go! Here we are on our first hike with our first baby. He was about five months old. Both of us carried backpacks, and my husband carried the little guy. We stopped whenever our son needed to eat. I was ready for a rest about then, anyway! We tucked him into bed with us at night. He loved everything about that trip - and so did we! When your cute little baby turns into a sturdy, heavy toddler, backpacking is not so easy anymore. It is possible to carry a heavy child in a good quality baby backpack - but then who carries all the gear and food? Anyway, once the child is walking, she might not be content to stay in the carrier for long periods. 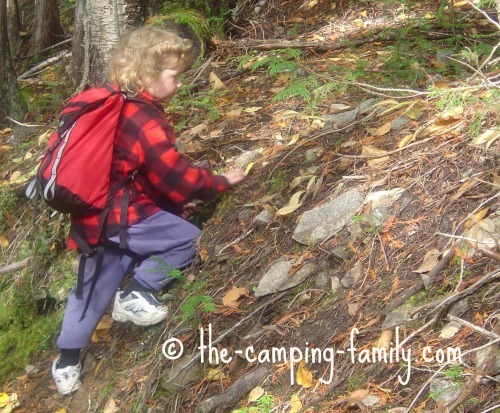 If you have more than one small child, backpacking becomes almost impossible. I think that this is a good time to switch to car camping - or, if you want to stick to remote areas, canoe camping or boat camping. Some families do manage to backpack with toddlers - but we are not one of those families! During those years, we did a lot of hiking - but never an overnight hike. While you wait for your children to get bigger so that you can go backpacking with kids again, you don't have to sit around. Go on day hikes. Make them short at first. 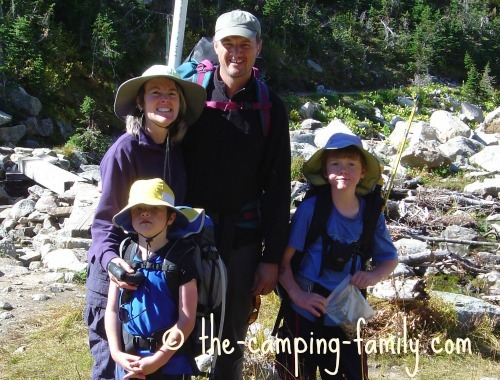 You want the kids to have such a good time that they can't wait for the next hike! Give your child a kid-sized backpack. Let him carry his own snacks. He'll feel very grown-up and responsible, and he'll grow up thinking that backpacking is a regular and enjoyable part of life. Don't expect to go very far, or very fast. Your child might need to investigate every pine cone and leaf along the path. You might be surprised at how much fun you have, though. Seeing the outdoors through the eyes of a small child is magical! When your kids get big enough to hike longer distances and to carry their own clothes, you can try a short overnight hike. 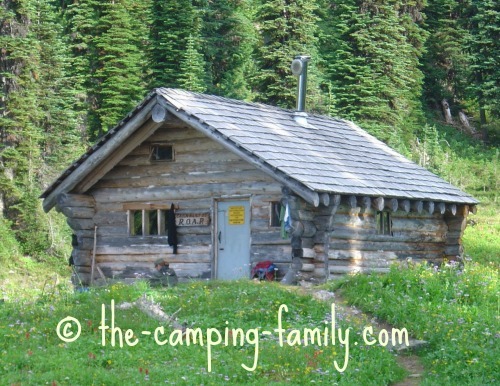 To make the trip easier on everyone, plan to stay in a backcountry hut rather than in a tent. Some huts are well-equipped with pots, utensils and even sleeping mats. 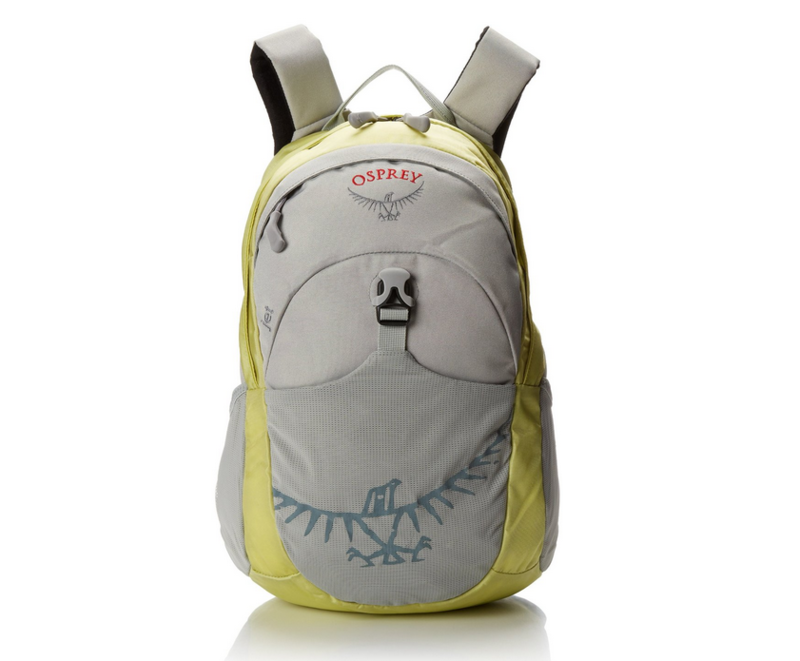 You don't have to carry anything except your clothes, food and sleeping bags. On our first hikes with children, we parents carried all of the food and the sleeping bags. The kids carried their own clothes and snacks. On each subsequent trip, the children carried a bit more. They felt proud that they were able to be so helpful. This is a well-designed backpack for kids. Its hipbelt and padded harness distribute weight evenly over the body. My favorite feature is the mesh side pockets: perfect for snacks and a water bottle! When the kids get even bigger, they'll be able to carry their own gear - and maybe even some of yours! You'll be able to take along the tent and the sleeping pads, and once again you'll be able to go backpacking wherever you like. Here's a good backpacking list. 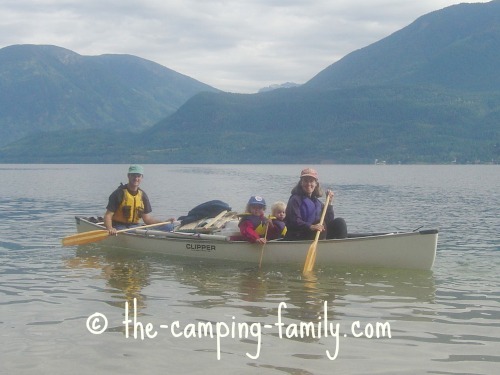 Backpacking with kids just gets easier and easier! 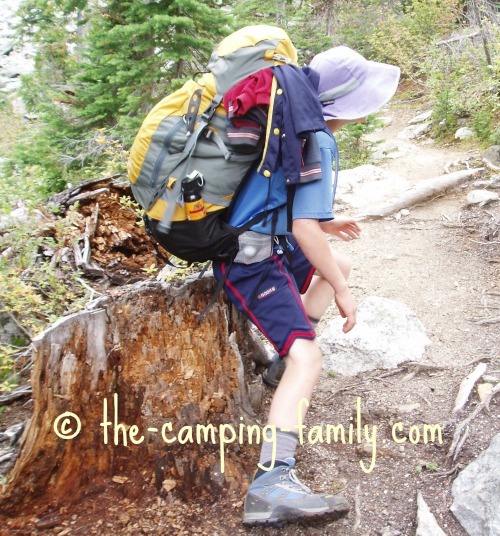 Now that you know all about backpacking with kids, click here to read some backpacking tips. 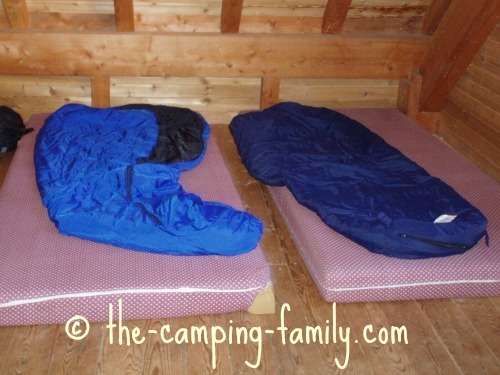 No matter what type of camping trip you are planning, visit The Camping Family home page for oodles of helpful information.